Good morning and welcome back. Since I like to start with something positive whenever possible, let me just say that it is a glorious summer morning here in Evergreen, Colorado! It's also a big week for the markets as earnings season moves into high gear, the Republican National Convention kicks off, the ECB will hold its first meeting after the BREXIT, the coup attempt in Turkey was put down, and both the Dow and S&P 500 start the week at or very near record highs. 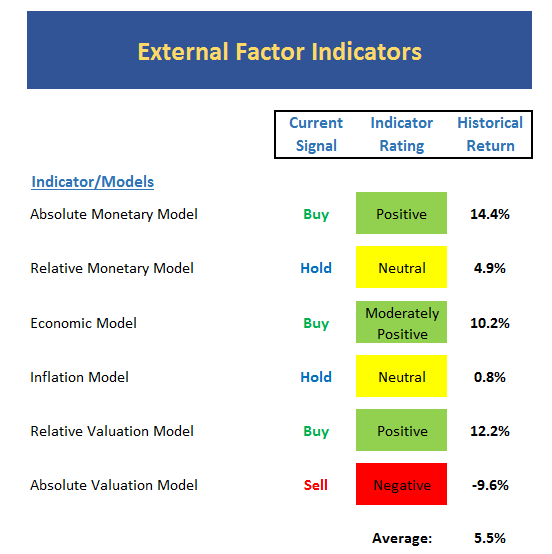 Since it's Monday, let's move on to our weekly review of the state of the market and our major market indicators/models. 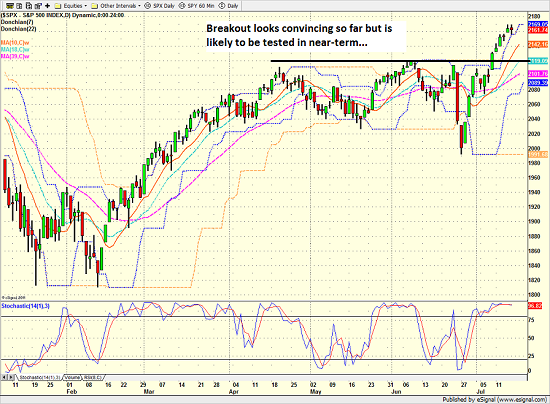 This is when overbought indicators can be tricky to use. 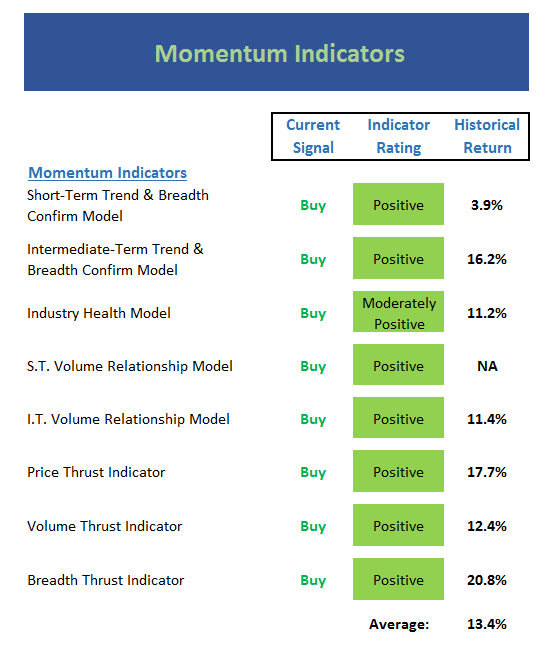 During strong moves higher, stocks get overbought and stay overbought - this is a sign of strength. 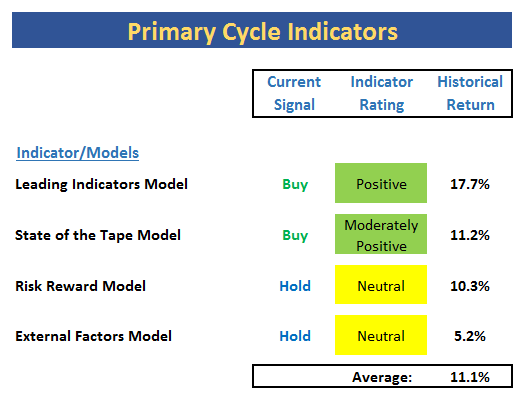 And this is why we rate the current signals as "hold" at the present time. 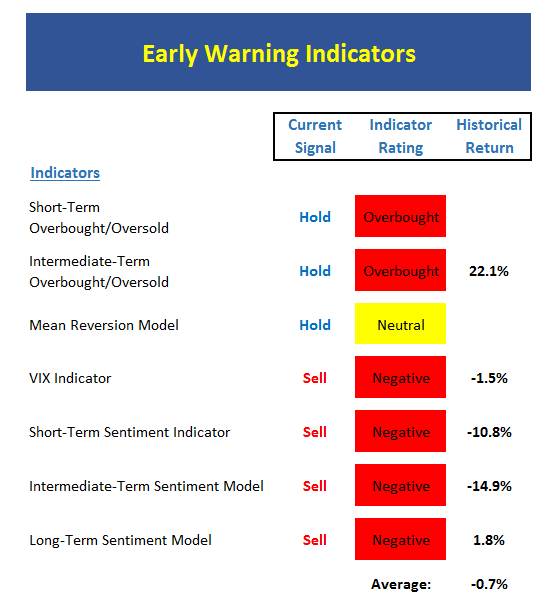 VIX gave a sell signal last week. 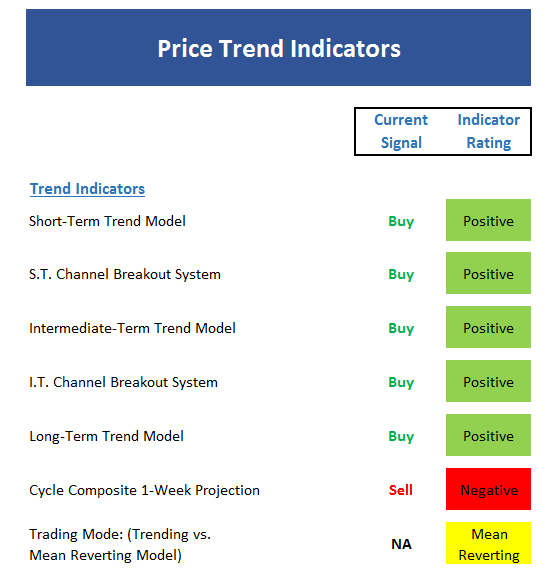 However, note that during strong uptrends, this indicator will give multiple signals. 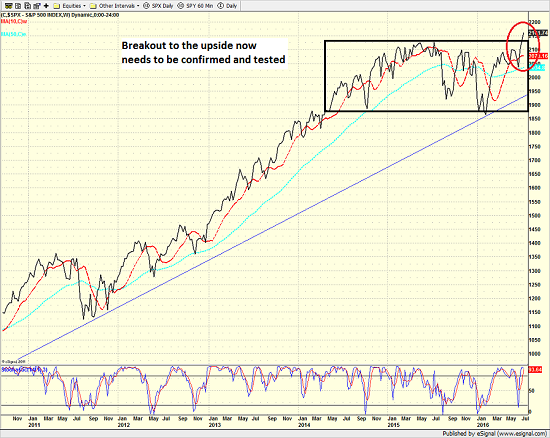 Stocks have broken out to the upside with strong internal momentum. The indices are overbought, but I will argue that we are currently seeing a "good overbought" condition (time will tell on this score). However, let's keep in mind that all breakouts have been "fake outs" since the end of 2014 and that a healthy dose of skepticism toward both the global and domestic economies remains intact. 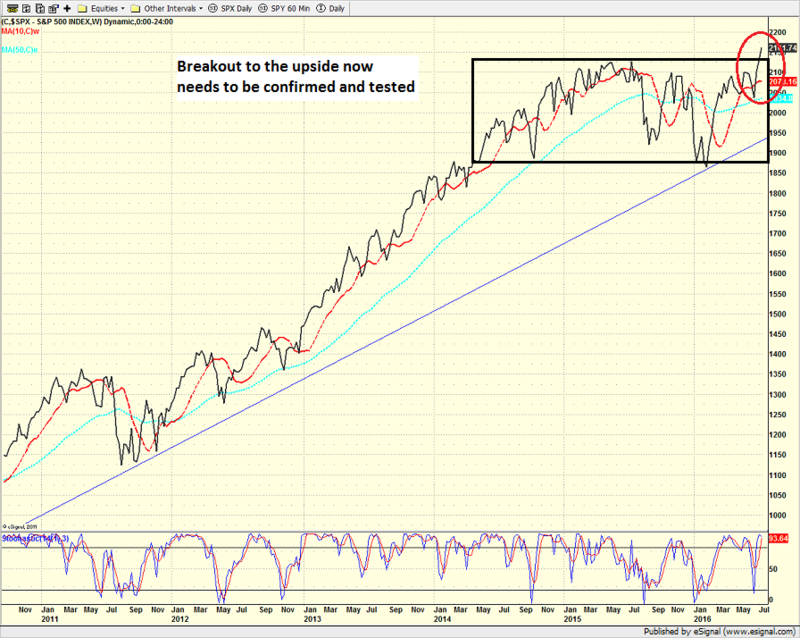 As such, we should probably expect to see a test of the breakout areas in the near-term. 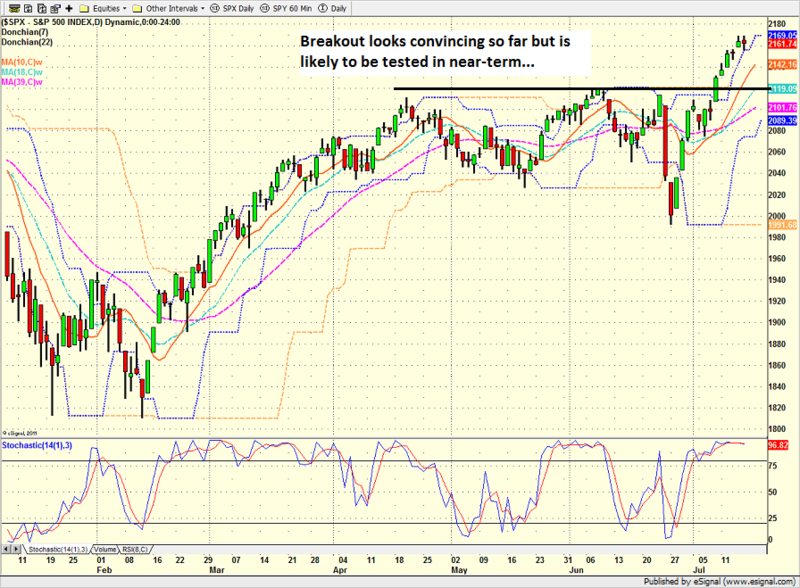 The bulls will be trying to hold the line at 2120ish while the bears will be attempting to produce another "fake out." But when all is said and done, our view is that the indicator board tells us to give the bulls the benefit of any doubt here and to continue to implement a "buy the dips" approach. 3. The Impact of the "BREXIT"